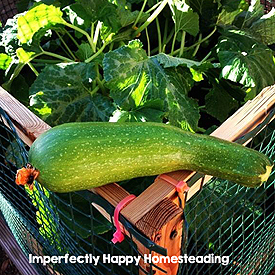 Growing summer squash is one of my favorites for my vegetable garden. 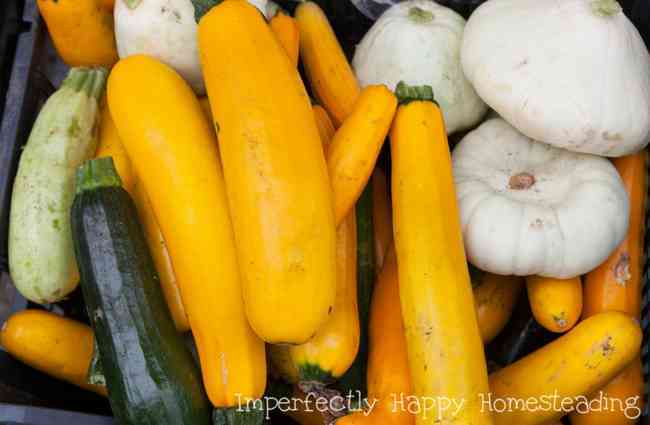 Summer squashes are pretty hardy and, more often than not, you’ll have more than you can use (but I have shared some recipes at the end of this post). So what is summer squash? Summer squash is a squash grown during the warm season, after any frost. The biggest difference between summer and winter squash is that summer squash is picked when it is tender; you do not need to wait until the outer rind hardens like winter squash. Summer squash varieties include zucchini, yellow crook neck squash, yellow straight squash, scallop squash (or patty pan) and a few other miscellaneous squashes. Not only are summer squashes tasty…they are beautiful! I recommend trying at least one variety you’ve never had before! But WARNING, don’t plant more than one summer squash plant per family member unless you are selling or plan to give a lot away! Growing from seed, directly sown in your garden, is best. Plant in your garden only after the chance of frost is passed (usually late spring to midsummer). Consider doing 2 rounds of planting – one early in the season and one later in mid-summer for the greatest harvest amounts. Soil should have good drainage and some amendments like fresh compost to give growing plants plenty of nutrients. If you don’t have your own compost I highly recommend using worm castings. Plant where summer squash will receive full sun for at least 7 hours a day. Seeds should be sown about 1 inch below the surface with at least 18 inches to 36 inches spacing. If you are using the Square Foot Gardening method you’ll only want one bush-variety in a 4×4 box or 2 square feet for vining types with a trellis. Bush varieties are usually best if you have limited space. Consider growing your summer squash in containers on your porch! You can grow squash in as little as 5 gallons but I think 10 gallons are better. I recommend fabric pots that help you avoid your plants getting root bound and have good drainage. (See other vegetables that grow great in containers). If you are not getting good pollination you can self-pollinate your summer squash. Once your summer squash plants are about 2 inches above the soil, it is a good idea to add mulch around them. The mulch will keep weeds down, preserve moisture and regulate your soil temperature. Water deeply once or twice a week – at least an inch deep. Shallow watering is bad for root development. Prevention is best, keep a close eye on developing leaves for signs for infestation. Squash Bugs and Cucumber Beetles – these bad boys are most damaging to the squash as it is developing. You can prevent them by netting your squash plants until they are mature. You’ll see yellow leaves that eventually wilt completely and die because they are sucked dry. 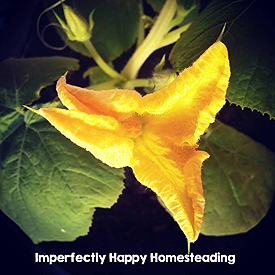 Squash Vine Boer – you’ll notice your vine runners wilting. Aphids – I have some tips to help you combat aphids naturally, here. You’ll notice yellowing or curling leaves so check the underside for the boogers. White Fly – You’ll see them fly around whenever the plant is disturbed or watered. The best way to combat pests is using companion planting methods and crop rotation. Powdery mildew can be a problem – pick off any affected leaves. You can plant mildew resistant plants if this continues to be an issue in your garden. Most summer squash varieties are going to start producing mature fruit in 60 days! Talk about bang for the buck, right? DO NOT let your fruit get too big. I know those contest winning squashes look amazing but the taste isn’t. I like to harvest my summer squash when they are about 6 inches in length or for the scalloped when they are about 3 inches in diameter. Young and tender are the goals for a good flavored summer squash. Older squash is probably best fed to livestock or thrown in the compost. OR save them for seeds, which I talk about below. Harvest often to keep your plant producing! Don’t be surprised if you’re harvesting 3 times a week during the season’s peak. One downfall to this wonderful veggie is that they do not store well, long term. They are best enjoyed within a few days of harvesting them. It is best to keep them refrigerated. Canning – the National Center for Home Food Preservation does not recommend canning summer squash. Pickling – Pickled summer squash is delish. Check out this recipe for Spicy Refrigerator Squash! Freezing – Summer squash can be frozen for later use and seems to do very well. See How to Freeze Summer Squash. 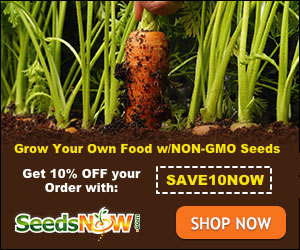 I recommend you save seeds from heirloom varieties, not hybrids. 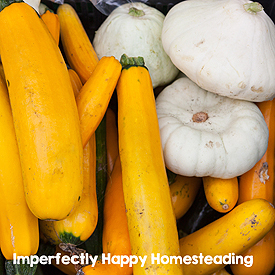 Use your overripe fruit for their seeds, not young or underdeveloped squash. You must be absolutely sure no cross-pollination has occurred (won’t show in this year’s harvest). Cut up and scoop out your seeds into a colander. Gently remove as much of the pulp as you can. Put the seeds in a bowl and allow them to sit for a few minutes. It is said that the healthiest seeds will sink to the bottom. Remove any floating seeds. Allow the seeds to dry in a single layer, for 24 – 36 hours; may take longer in more humid climates. Store in a cool, dark, place for next season. Now you’re ready to grow, harvest, store and cook summer squash! Happy Harvesting! I have a problem, I have all male flowers so far, no females withe little squashes on them. What happened? I have lots of flowers however I don’t get any fruit. Sounds like you may need to do some manual pollination.